Two words that make all Liverpool fans feel slightly sick in regards to the transfer market. According to the Times, that’s what we’re doing to Anderlecht’s Belgian wonderkid Youri Tielemans, who’s scored an unbelievable 18 goals this season already. He plays in central midfield, and not even in a particularly advanced position, which makes his achievements, still aged 19, all the more amazing. It’s no surprise that he’s one Liverpool are considering, but we’d imagine our chances of securing him are slim. The Guardian moot a £25m price-tag and suggest Chelsea, Manchester United, PSG, Monaco and Inter are all readying hefty summer bids. 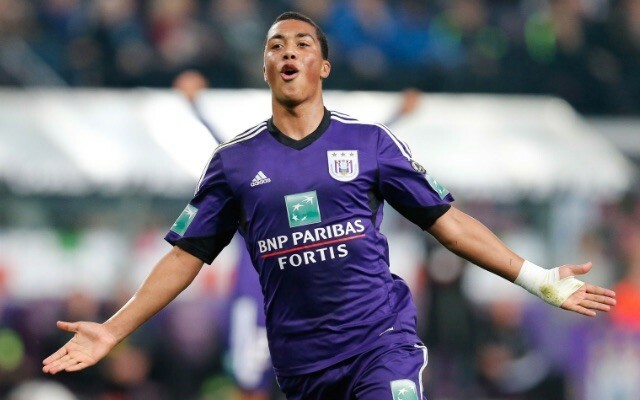 There’s few teenagers on the continent with a higher ceiling than Tielemans, who possesses power, energy and skill that belie his years. We’d be over the moon if our interest was serious, but understand that improving the backline is a priority this summer. The same report from the Times name-drops Virgil van Dijk as the primary target and says we could break our transfer record to acquire him.